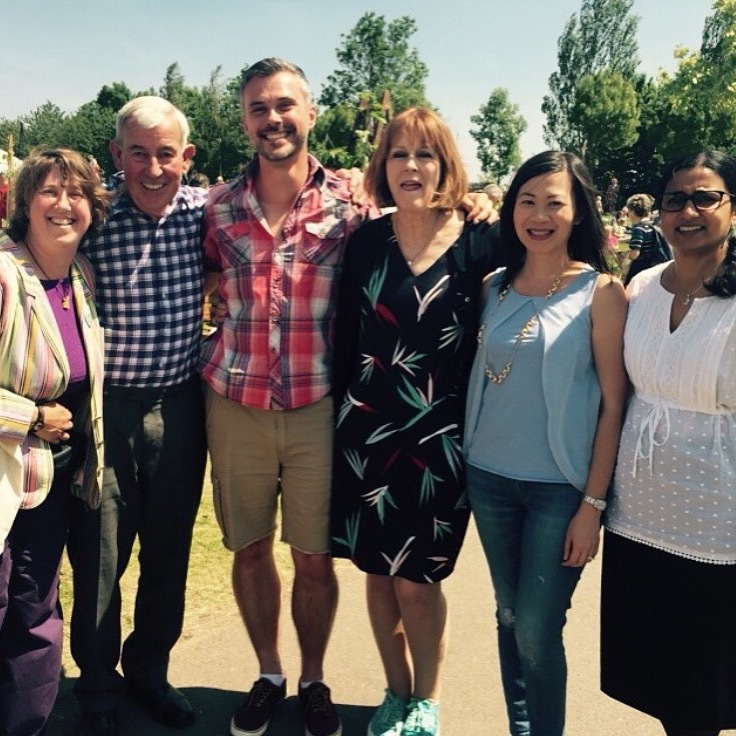 Gardeners world, RHS Hampton Court and the odd geranium thrown in! The past week has been a bit of a whirl-wind. 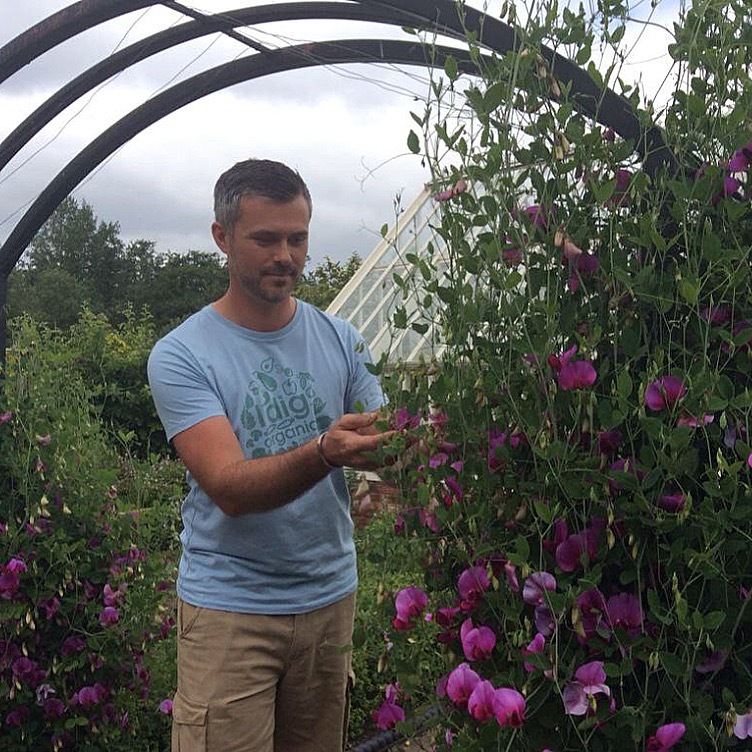 I’m preparing a talk for RHS Hampton Court, I’ll be there on Friday 3rd July, talking about the flowers I grew on The Big Allotment Challenge, and how you can use flowers for companion planting. 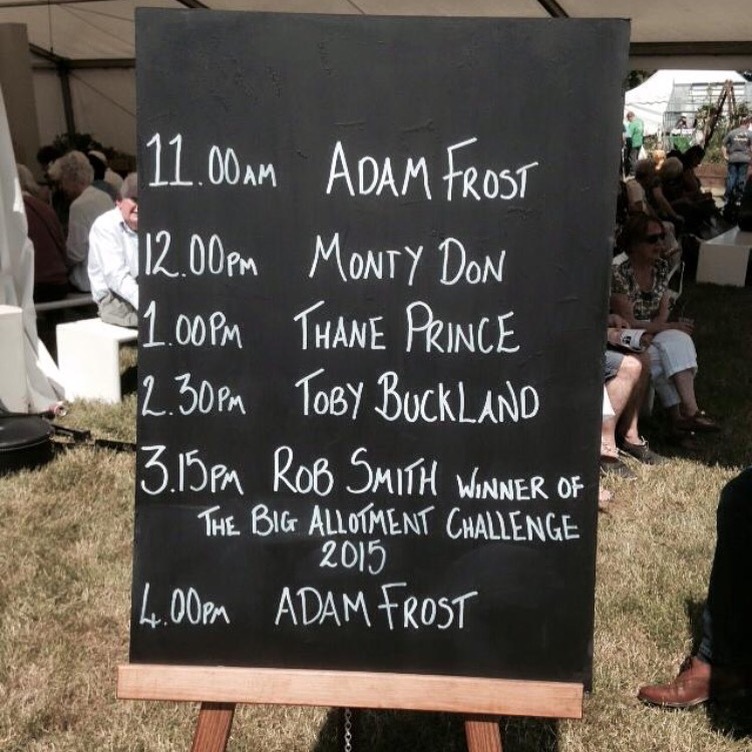 If you’re visiting, please come along and have a chat, its great to meet fellow gardeners. I’ve also been down to Garden Organic and the Heritage Seed Library at Ryton Gardens. I’m starting research on my next book, its all about Heritage Veg. 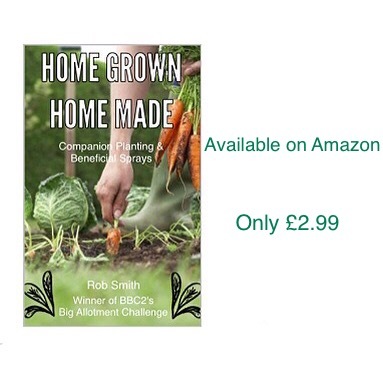 If you missed the first book, its available on Amazon (kindle edition) and is called Home Grown, Home Made: Companion Planting and Beneficial Sprays. Watch this space for more exciting news about books and other things too….. I Also had a great day catching up with some of the guys from The Big Allotment Challenge at Gardeners World Live at the NEC in Birmingham. Rekha, Jojo, Lena and I all met up for a chat and a few photos with Thane and Jim, then Jim and I had a great talk about the show, heritage veg and my passion for gardening. If you want to have a look at what we chatted about, click on the link below. Don’t forget to take some time over the next few days to appreciate the garden. I know we can get bogged down at this time of year with watering, weeding, feeding and any number of chores, but take 10 minutes to just wander and look at your plot, there are some beautiful flowers and foliage around. 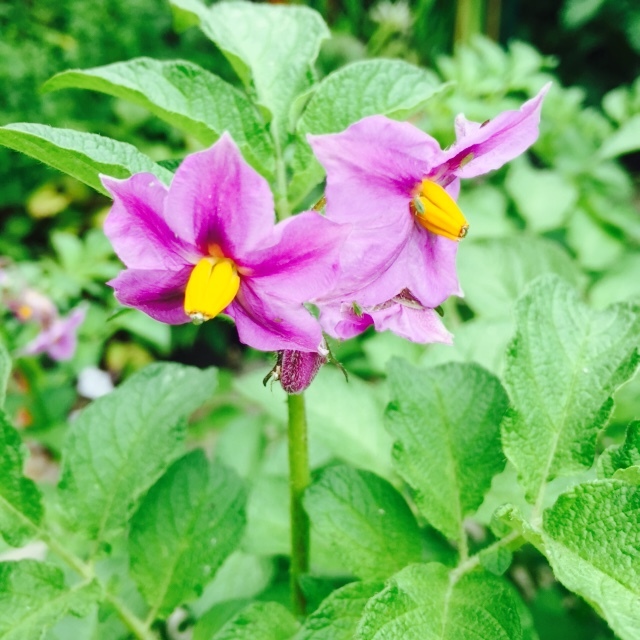 The lovely flowers from my Mayan Gold potatoes. I’m just waiting for them to die off and then I’ll be digging them upland enjoying my first potato crop of the year. 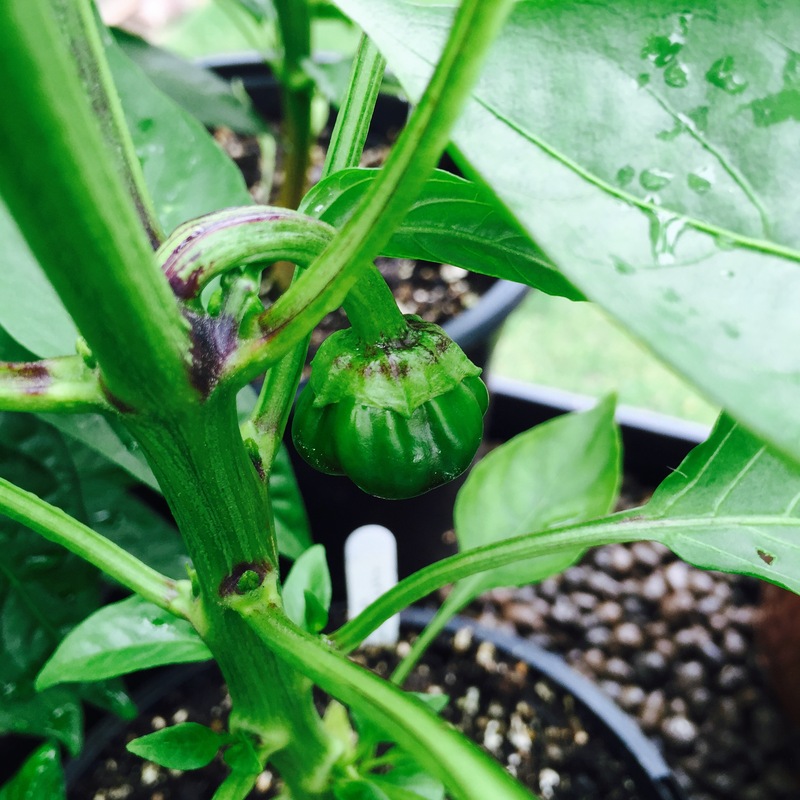 Purple Beauty peppers are starting to form. They start as green and eventually go a dark shade of purple. That should addd some interest to summer salads and kebabs on the BBQ. 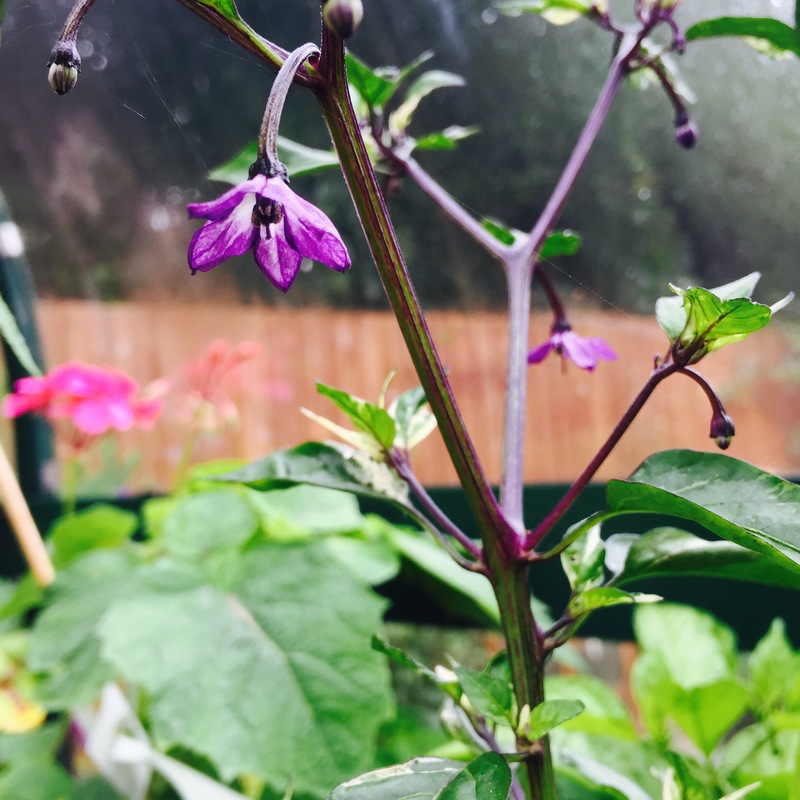 These are the flowers of the rare heritage Trifetti chilli, They have variegated foliage and form beautiful little purple flowers. This variety used to be grown indoors as a pot plant in years gone by, thats how pretty it gets. Now, however, its endangered and on the Heritage Seed Libraries, seed guardian list. Apple blossom geraniums on the other hand, have big bold blooms and that typical geranium foliage. No less pretty, just ‘in your face’ glamour. Theres nothing understated about this variety. 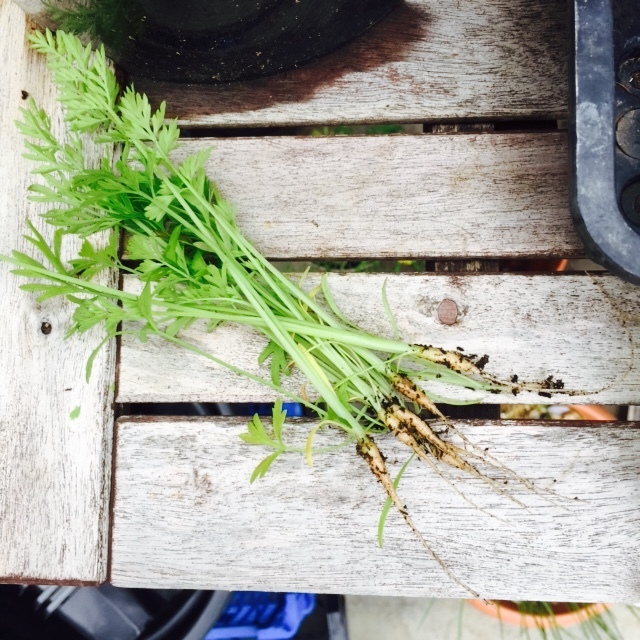 I almost forgot to mention, don’t forget to thin your carrots to produce larger individual specimens. You can replant them elsewhere, or if you don’t have the time, leave them all in and just let them do their thing. Have a great week and hopefully I’ll see some of you at RHS Hampton Court on the 3rd!